This module looks at the reasons why people buy from you. Identifying a target market is key to gift business success. This module covers the key aspects of sending and keeping in touch with a database of followers. How to increase sales by launching your products to your followers. 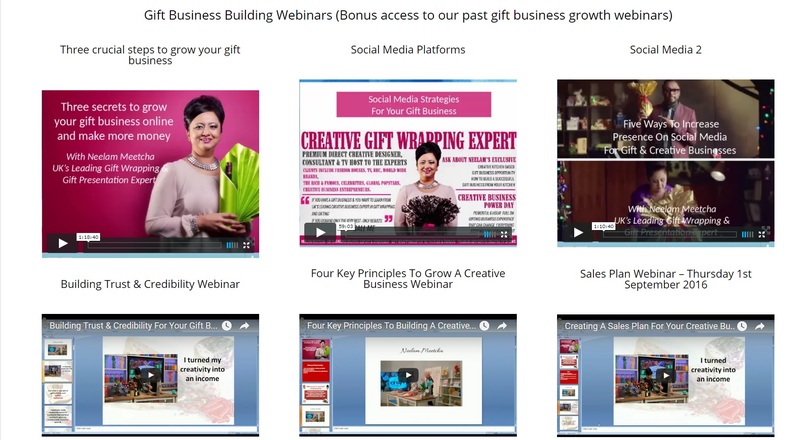 You will also get full access to all our live creative business growth webinar videos and audio business building tips too.